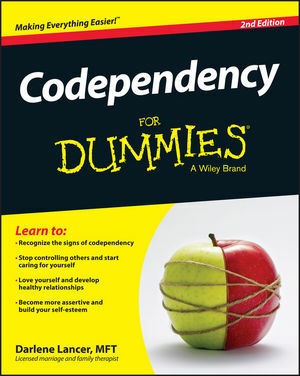 Codependency For Dummies, 2nd Edition is the most comprehensive book on the topic to date. Written in plain English and packed with sensitive, authoritative information, it describes the history, symptoms, causes, and relationship dynamics of codependency. The majority of the book is devoted to healing and lays out a clear plan for recovery with exercises, practical advice, and daily reminders to help you know, honor, protect, and express yourself. New to this edition are chapters on working the Twelve Steps to recover from codependency and how therapists/coaches/nurses are affected by codependency. Codependence is primarily a learned behavior from our family of origin. Some cultures have it to a greater degree than others—some still see it as a normal way of living. Yet the costs of codependence can include distrust, faulty expectations, passive-aggressiveness, control, self-neglect, over-focus on others, manipulation, intimacy issues, and a slew of other harmful traits. Codependence causes serious pain and affects the majority of Americans—not just women and loved ones of addicts. Codependency For Dummies, 2nd Edition offers authoritative and trusted guidance on ways to raise your self-esteem, detach and let go, set boundaries, recognize healthy vs. dysfunctional relationships, overcome guilt and resentment, and much more. If you're trapped in the cycle of codependency and looking for help, Codependency For Dummies, 2nd Edition offers trusted advice and a clear plan for recovery. Darlene Lancer, JD, LMFT, is a licensed marriage and family therapist specializing in relationships and codependency. Ms. Lancer has counseled individuals and couples for 28 years and coaches internationally. She's a sought-after speaker to professionals at national conferences and in the media.